Professor Anthony Cohen, Principal, QMUC; Rosalyn Marshall, Vice Principal and Re:LOCATE Project Controller, QMUC; Patricia McDonald, Environmental expert and Landscape Architect, Prof. Robin Webster, Scott Sutherland School of Architecture, Andrew Wright, Commissioner of the Royal Fine Arts Commission for Scotland and a past President of the Royal Incorporation of Architects in Scotland, and Steve Scott, Director of Estates and Facilities, QMUC. Brian Moore, Director of RIAS Consultancy, managed the selection process. The masterplan for the site was submitted to East Lothian planning authorities for approval on 30th October last year. A decision is expected in Spring 2004 and staff and students expect to relocate from QMUC’s existing sites at Corstorphine and Leith in 2007. Radiography have been incorporated in the College. QMUC currently has around 4,000 students and aims to attain full university title beforev relocating to Craighall. Currently most of the QMUC’s activities are housed in late 1960s buildings at Corstorphine, while a second campus at Leith houses most of its health care courses. The Gateway Theatre in Leith Walk, previously a television studio, has been home to the Drama Department since 1996. The Gateway Theatre complex will be the only element of the existing estate to be retained. A conditional deal with Persimmon, the landowner at Craighall, to sell the Corstorphine campus and purchase the site was concluded in October 2002. Essentially this back-to-back deal will pay for the new university QMUC campus. Other funds from an extensive development programme are expected to assist with the relocation project. 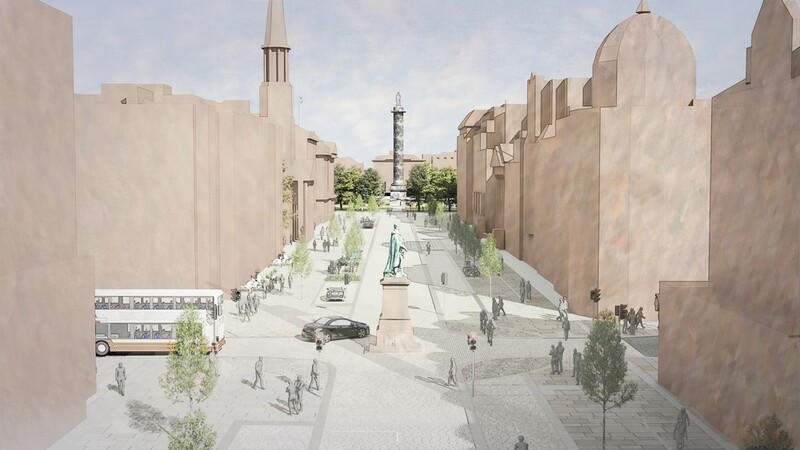 A planning application for the QMUC site will be submitted to the City of Edinburgh Council for housing on the site. Dyer Associates is an architectural, interior design and space planning consultancy. The practice was established in Cheltenham in 1964 and now also operates from offices in London and Manchester, with a total staff of 60. It has a strong reputation for award-winning design, communication and delivery: providing a comprehensive range of services from concept to built project. 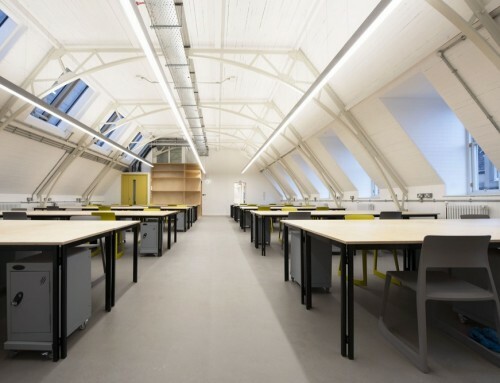 The practice designs for a broad range of national and international clients and their specific building requirements. 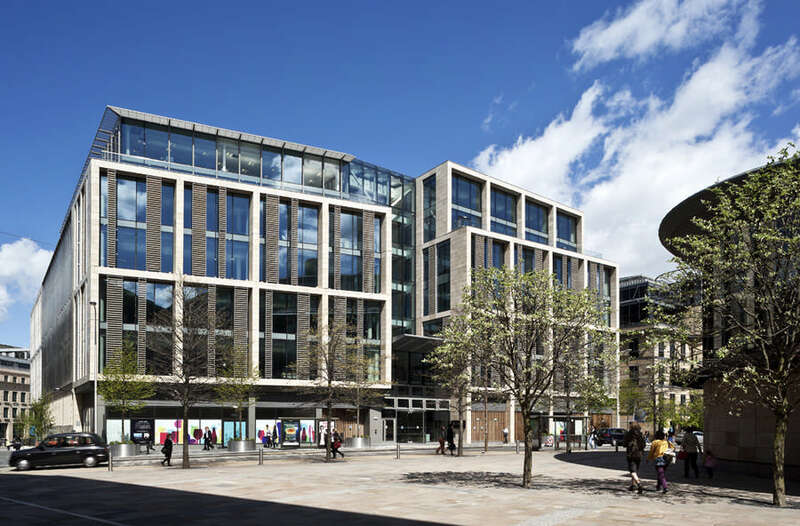 Its extensive international portfolio of built work demonstrates its expertise in a number of building sectors, most notably Education, Workplace and Leisure. In 1986, Dyer Associates with the US architectural practice firm, Anshen + Allen founded Anshen Dyer. Anshen Dyer was established to specialise in the design and delivery of healthcare, academic and research laboratories and is now widely recognised as the premier healthcare practice in the UK. North Hertfordshire College, Edinburgh University, Cheltenham College, Cheltenham Ladies College, King’s College London,Imperial College, UMIST, The University of York, The University of Oxford, The University of Cambridge. The recent restructuring of QMUC’s academic subjects into 2 faculties ensures that there is more opportunity for interdisciplinary working. 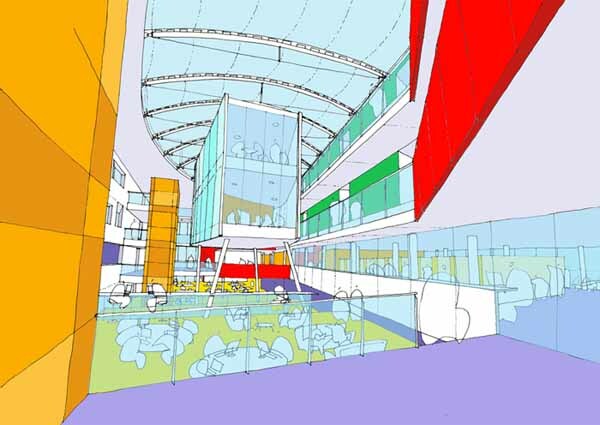 Queen Margaret University College (QMUC) has launched an international competition to find an architect for its new East Lothian campus. The purpose of the competition is to identify the best firm to carry out the detailed design work for the first phase of the project – known as Re.LOCATE – which includes new academic buildings and infrastructure. Subject to obtaining planning permission, the new QMUC campus will be built on a site at Craighall – an area of 36 acres in the East Lothian town of Musselburgh – which Queen Margaret University will purchase from Persimmon Homes. The site will be developed to contain student residences and sports facilities as well as the faculty buildings. The QMUC competition is open to architects from all over the world and the deadline for pre qualification applications is 1st October 2003. An open call for submissions has been published in the Official Journal of the European Communities and on the Royal Incorporation of Architects in Scotland (RIAS) website. The competition will be organised as a restricted project competition in two phases following a pre-selection of qualified applicants. 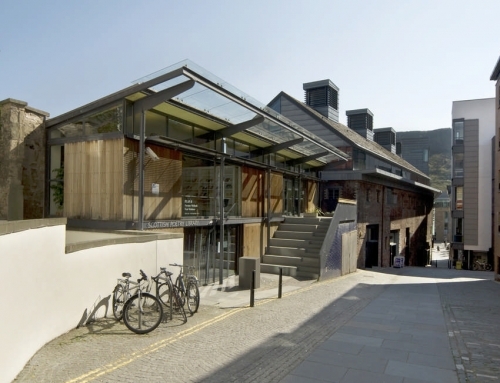 The selection process is being managed by RIAS Consultancy from the Royal Incorporation of Architects in Scotland. 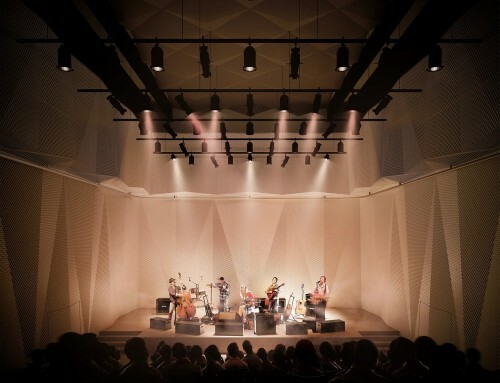 A judging panel will short-list 10 candidates to be admitted to the second phase, following which up to four practices will be invited to submit design ideas. An honorarium will be offered to unsuccessful practices on this list. The panel will be chaired by Dr Barbara Kelly and includes Tony Cohen, Principal, QMUC; Rosalyn Marshall, Vice Principal and Re:LOCATE Project Controller, QMUC; Prof. Robin Webster, Scott Sutherland School of Architecture and Andrew Wright, Commissioner of the Royal Fine Arts Commission for Scotland and a past President of the Royal Incorporation of Architects in Scotland. Brian Moore, Director of RIAS Consultancy, is managing the selection process. It is expected that the panel will make its decision in the first quarter of 2004. Detailed information on the QMUC competition can be found in the Official Journal of the European Communities. Barbara Kelly has held a number of senior public appointments and her main interests lie in consumer affairs and in rural and environmental issues. She is a Patron of QMUC and a Trustee, Royal Botanic Gardens Edinburgh. She is a past Chairwoman of the Architects Registration Board and of the Scottish Consumer Council and is presently a member of the BP plc Scottish Advisory Board and the Scottish Post Office Board. Professor Cohen took up post as Principal of QMUC in March 2003. As Provost of the Faculty Group of Law and Social Sciences at the University of Edinburgh from 1997-2002, Professor Cohen was a member of the University’s Central Management Group which had oversight of all the University’s estate development and maintenance, including the NRI at Little France. 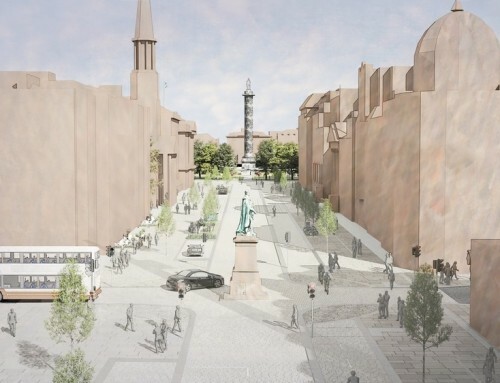 He was particularly engaged with plans to redevelop and refurbish the George Square estate and the Crichton Street site; and with the renovation of the Moray House campus. Rosalyn Marshall is Project Controller for the Re:LOCATE project. She has been Vice Principal at QMUC since 1997 and was previously Assistant Principal there. In eleven years as a member of the senior management team at QMUC, she has been involved in all significant estates projects including the development of the Leith Campus, which was created by the purchase and refurbishment of the former Leith Academy, and the Gateway Theatre. She has also been a board member of the Accounts Commission for Scotland for six years. Prof. Robin Webster, OBE ARSA FRIAS RIBA, Head of Graduate School, Scott Sutherland School of Architecture at Robert Gordon University in Aberdeen. Robin Webster is an architect and educationalist. He taught at the Bartlett School UCL, The University of Cambridge, Washington University St Louis, and the Mackintosh School Glasgow School of Art, before taking the Chair of Architecture at the Scott Sutherland School, The Robert Gordon University in 1984, where he is based. He was senior partner in Spence and Webster Architects, with offices in London and Glasgow, until in 1984 when he formed Robin Webster and Associates, based in Aberdeen. He has won a number of competitions and awards for his architecture, and was awarded an OBE for services to architectural education in 1999. A past Commissioner for the Royal Fine Arts Commission for Scotland, he has served on a number of national committees related to architecture and education. Andrew Wright was a partner of the architectural practice of Law & Dunbar Nasmith for 20 years, latterly as Chairman. He is a past President of the Royal Incorporation of Architects in Scotland. 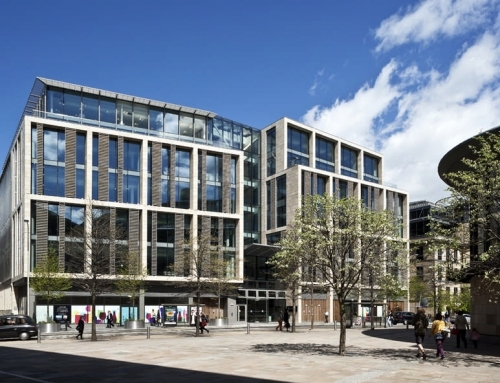 In June 2000 he was appointed as the independent architectural adviser to the Holyrood progress group responsible to the Scottish Parliament corporate body for the management of the new parliament building project through to completion. He is having a second term as Commissioner of the Royal Fine Arts Commission for Scotland and, after two terms on the Ancient Monuments Board for Scotland, he has been appointed as a member of his replacement body, the Historic Environment Advisory Council for Scotland. In 2001 he was awarded an OBE for services to architecture and the built heritage in Scotland. Brian Moore, Director of RIAS Consultancy from the Royal Incorporation of Architects in Scotland (Consultant to the panel). RIAS Consultancy was established in 1994 to provide clients of the construction industry with a source of impartial, multi disciplinary advice on all aspects of construction procurement. It provides procurement best practice advice at both strategic and project specific levels for a wide range of clients in the public and private sectors. Much of this work is associated with managing the selection of design teams through design competitions and other quality based selection procedures. 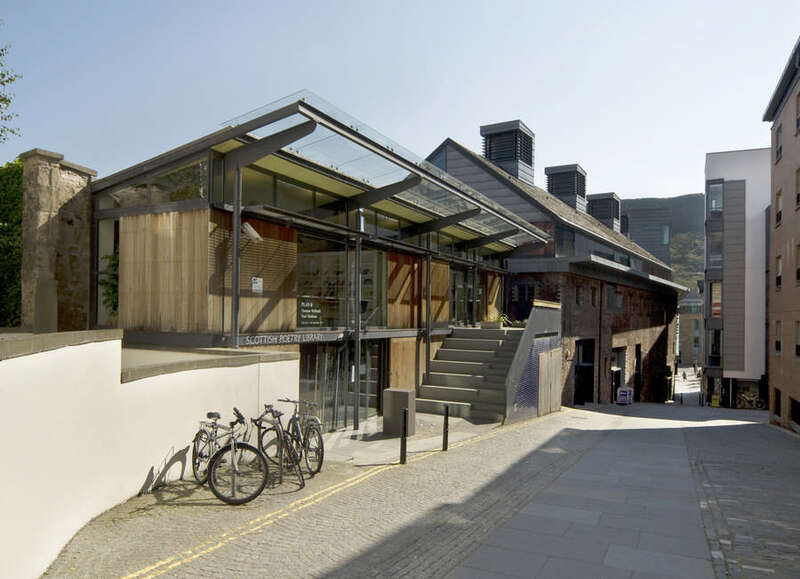 RIAS Consultancy is currently drafting guidance for the Scottish Executive in respect of design competitions; and is developing Design Quality Indicators for a number of industry sectors. 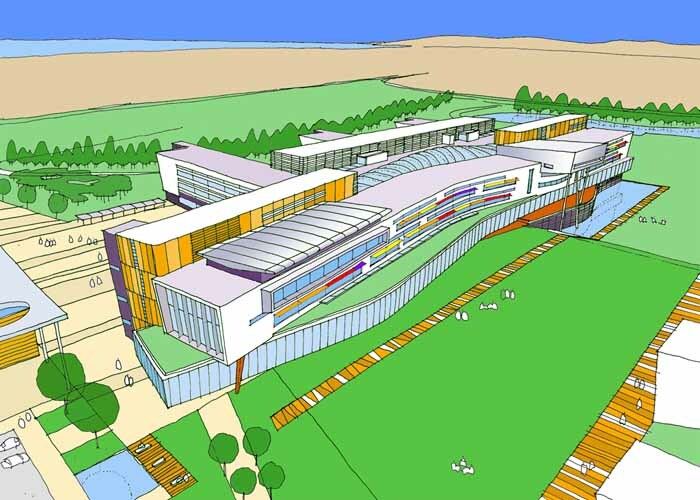 ‘Secret talks have been going on for six months in a bid to bring the new campus of the prestigious Queen Margaret University College to a greenfield site in East Lothian. And a final decision by the college, expected to spend in excess of £50 million on its new home, is expected next month”. ‘The first new higher education campus in Scotland for 30 years is to be built on the outskirts of Edinburgh after Queen Margaret University College announced it was moving to East Lothian. The new site, at Craighall, will include 60,000 sq ft of academic buildings, halls of residence for students and sports facilities’.